Review Nikon's endeavour to rein in Canon’s success in the compacts market has seen the Coolpix P7000 released as a direct competitor to the Canon PowerShot G12. By introducing the P300, Nikon's first pocket-sized advanced compact, the company seems keen to cast a shadow over the Canon PowerShot S95. 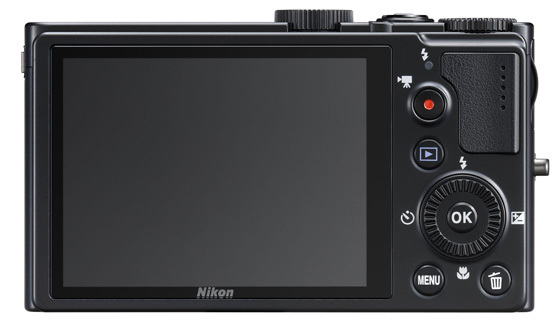 Aimed at serious enthusiasts, the Nikon P300 showcases attractive features with its 12.2Mp, back-illuminated CMOS image sensor married to Nikon's Expeed C2 image processor. This combination delivers a sensitivity up to ISO 3200, along with an impressive 8fps continuous shooting at full resolution, plus 1080p HD video recording. The jewel in the crown is the fast f/1.8-f/4.9, 24-100mm (35mm equivalent), high refractive index zoom lens with optical stabilisation. It offers decent wide-angle shooting and useful, rather than spectacular, telephoto magnification. At at 920k dots, the 3in LCD screen – albeit the same size screen as the Canon PowerShot S95 – has almost twice the resolution, delivering very good viewing angles from this crisp, bright display. 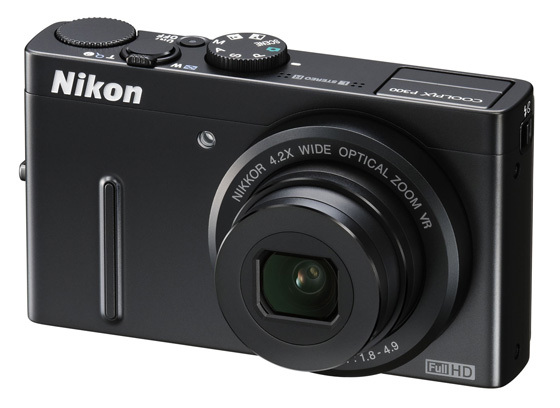 The Nikon P300 is essentially a rectangular black box measuring 103 x 58 x 32mm and weighing 190g with battery and SD memory card. The metal body is solidly built and feels good in the hand. The grip is aided by a raised rubber strip at the front and a small thumb rest on the back. Together these work well to make handling such a little camera feel safe and comfortable, allowing for easy one-hand operation too. The front of the camera is devoid of any controls, featuring only the retractable zoom lens, while the top plate houses both the Mode dial and the Control dial, used to adjust shooting parameters and to review images in playback or to access menu options. Hidden away on the top left corner of the camera there is also a built-in flash that can be manually activated by a switch on the side of the camera. On the back, there are only four dedicated buttons – direct movie recording, Playback, Menu and Delete – and a navigation wheel that also doubles as four-way controller giving access to Flash Mode, Exposure Compensation, AF mode and Drive modes. The Nikon P300 offers several shooting modes: the conventional Auto, Program Auto, Shutter Priority, Aperture Priority, Manual, and Scene modes plus a Backlighting and a Night Landscape option. Review CSCs – who needs 'em?